I hope that you are as excited as I am to have a “Date with Christ”, but before we do so, please ensure that you are sitting in a place where no one can come and disturb you so you can have a personal “Me Time” with GOD.Also, keep a Bible, pen and a notebook beside you so you won’t have to get up to take those while spending time with GOD. Our dear Heavenly Father, here we are in your presence to spend some quality time with you. Every minute that I am going to spend with you make it worthwhile so that I can know more about you and love you more than ever before. Give me the wisdom and knowledge to understand your word. Thank you for hearing this short prayer, In Jesus name, we pray, Amen! Background: The Gospel according to Mathew was believed to written by Mathew who was a tax collector before accepting Jesus as his personal Savior.In his gospel, he has focused on Jewish customs and how the Israelite’s refused him as the Son of GOD. In the later posts, we will dig into more details about the gospel and the author. So now let’s focus on the passage to know more about Jesus. The passage speaks about how Mary was designated to conceive Jesus through the Holy Spirit which was unknown to Joseph and since he was a righteous man when he found out that Mary was pregnant, he decided to divorce her quietly. The passage speaks from Joseph’s point of view. Mary was a virgin when she conceived through the Holy Spirit and this concept was unknown to them at that time so it was a shock for Joseph when he came to know about her pregnancy. Had Joseph disowned her publicly, she could be stoned to death as punishment, but since he was a righteous man he decided to disown her privately. A divine intervention was needed for Joseph to understand about Jesus as he could not understand it through his own wisdom. So, Joseph gladly accepted Mary as his wife. It was a big step for both Joseph and Mary to enter into marriage trusting each other and too in faith. They were entrusted with a very big responsibility. The birth of Jesus defies all human logic and reasoning. Joseph was a righteous man, no doubt about it, along with his righteousness he was also kind enough to show mercy to Mary even when he thought that she was being unfaithful to him. 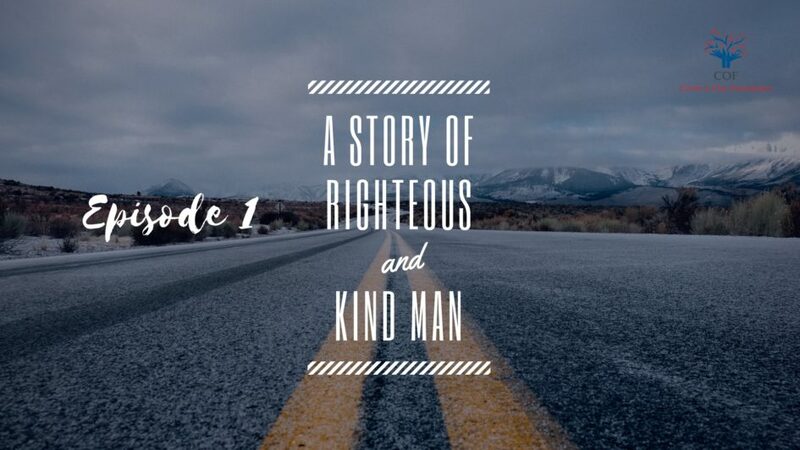 You may find righteous people but he might not be kind, similarly, you may find a kind person but not righteous, it is very rare that you would find a kind and righteous man and that was found in Joseph. How hard was it for Joseph and Mary to trust each other and the message of GOD? Was it right for Joseph to think of to divorce Mary? When GOD speaks to you something beyond human logic and reasoning, how would you react to it? Would you take a leap of faith? What would you prefer doing? Trusting God or men? What character can we imbibe from Joseph and Mary? Can we show a similar kind of faith during uncertain situations? When GOD entrusts you with something great beyond your ability or logical reasoning, don’t back off, just give yourself completely to him. In your inadequacy, he completes his plan for you as well as for others. Will continue next week with the next chapter.